The sensors inside the robots allow the pets to replicate the behaviour of a living, breathing animal. Australians living with dementia are being aided by fluffy, cuddly and irresistibly cute robotic pets so they can relax and relive their happy memories. As reported, the robotic pets look, act, feel and sound like real dogs and cats but are in fact powered by electronic sensors and batteries. The sensors inside the robots allow the pets to replicate the behaviour of a living, breathing animal. Plus, the fur feels real, making the experience as real as it can get. Touching them behind the head or underneath the chin will make the animals respond. The same goes to speech as well. They, too, will respond to speech. 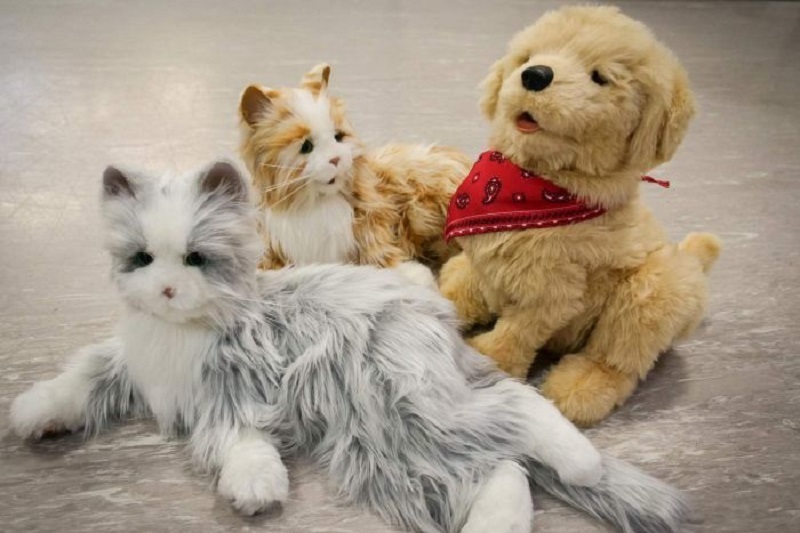 The robot pets will rollover, meow or bark depending on how they are being touched. The cats, for instance, would moult like a real cat all over the clothes when touched. The use of robotic props is good for Alzheimer’s patients because they can help trigger happy memories in the patients. This method is called tapping into emotional memory. People suffering from dementia have their emotional memory really deep-seated in long-term memory. Finding interactions, which tap into the emotional memory of good times as well as the times when the patients were feeling happy, contented or caring for something, can help bring back those long-term memories. This will then lead to a sense of wellbeing. Moreover, having pets could simply act as a source of comfort. It is good for people, with a more severe case of dementia, to have tactile sensory stimulation. It is vital, however, that carers are not overly reliant on the use of artificial pets. There is a place for them but they should not ever be used to replace the real thing. Although they are advocating for interactions with the real things, instead of robotic or plush toys, the reality is that it is not always possible to do so. It was important that the robotic pets formed part of a broader mix of cognitive stimuli for dementia sufferers. Not everything is going to work for everybody and not everything is going to work all the time. The pets are really there to bring back those long-term memories for a person and reinforce that sense of identity. If someone, for example, has always been a very nurturing, caring person; has raised a family or grandkids; and had that close, intimate relationship and positive wellbeing around children, then maybe using life-like robotic dolls would be better. Music can also be an effective method of triggering memories in dementia patients. To reiterate, these methods do not fix the brain nor cure the dementia. It serves as a way to tap into the long-term senses of wellbeing. And when it is done, some of the disabilities being faced by people with dementia are overcome.